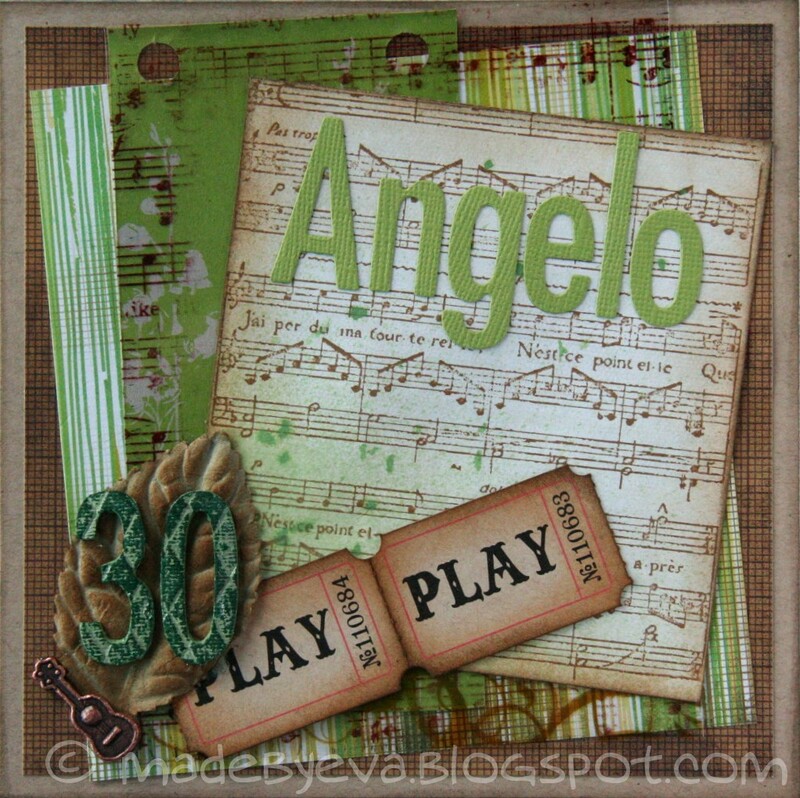 Materials used include: BG papers, Tim Holtz tickets, QK Studio letters, 7 Gypsies overlay, numbers cut from Tim Holtz embossed grungeboard and coloured with Glimmermist and StazOn, some Prima packaging and other random stuff. Angelo was very pleased! Maybe I have to put in an order for his brothers future 30 years anniversities?